With ELISE, agap2 is setting up 100% recycling of office waste in its offices. 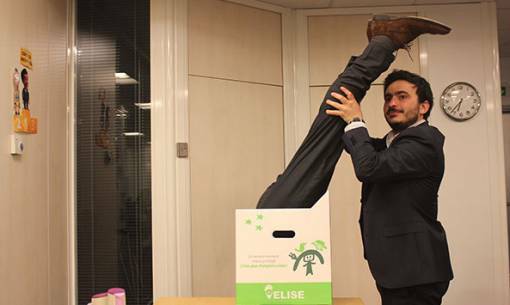 Using ELISE, agap2 has chosen to recover 100% of its office waste by recycling it, while also creating solidarity jobs. To do this, waste bins are provided for our employees. ELISE handles the collection, sorting and recycling. We are thus joining the 8,200 companies that opted for ELISE, the French leader for the collection and recycling of office paper. ELISE is actively contributing to the collective awareness of the importance of questions related to the protection of the environment and to the development of local and sustainable jobs. By favouring recycling and by avoiding the incineration of a lot of business waste, ELISE is contributing to reducing atmospheric pollution and to the preservation of natural resources. ELISE personnel are mainly persons who are disabled or who have problems finding a job. Adopting recycling for used paper, and not incineration or the dump, multiplies the number of jobs created in the “papers-cartons treatment” activity by 10. Manufacturing one ton of recycled paper saves 17 trees.